Happy first day of Fall! 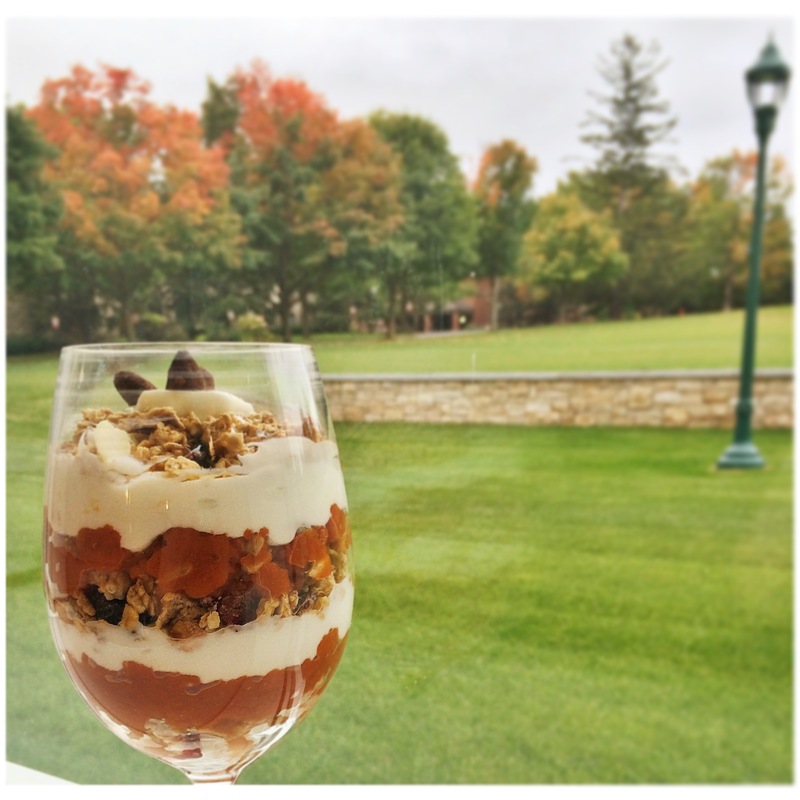 What better way to celebrate than to make a delicious pumpkin parfait?! Whether it is a fulfilling breakfast (while admiring the beautiful trees on St. Lawrence University’s campus), an afternoon snack or a scrumptious dessert, this is a delicious seasonal treat that you cannot miss out on. Pump-kin up your parfait, folks! In a small bowl mix together approximately 1/2 cup of pumpkin puree, a drizzle of honey and a handful of sunflower seeds. In a small clear glass, alternate layers of granola, pumpkin, and greek yogurt. Top with another drizzle of honey and any additional topping such as almonds, raisins or walnuts. Bon appétit!